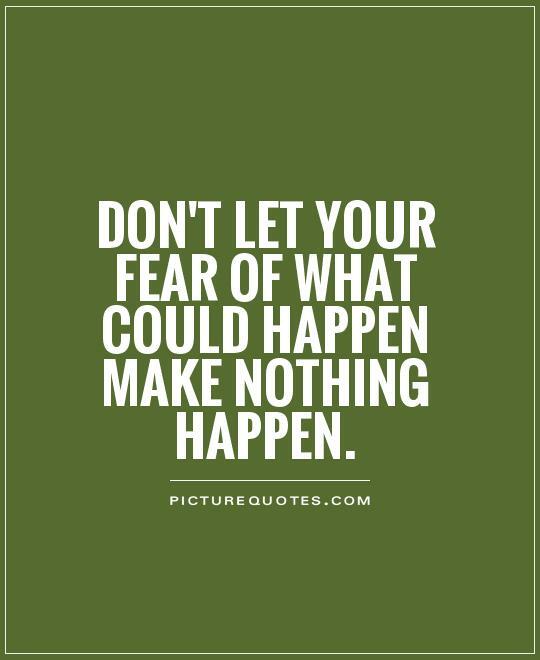 So many of us deal with fear on a regular basis but how often do we ever stop to think about the thing itself? Fear, I believe, is misplaced energy. Fear paralyses us from doing the Next Right Thing because we fear the outcome, right? What kind of things do we fear? Let's put them on the table. Fear of not being liked. Fear of putting ourselves out there. Fear of losing a friend. Fear of making people mad or angry. And often, as a woman, this is all in the scope of about five minutes, right? But if we REALLY stop to think about it, what can fear do to us really? How many of those things listed above (and most of the ones you can add) can actually cause us physical harm or death? Better yet, how often do our actual outcomes line up with our imagined ones? Almost never, if we are honest. What does God tell us about fear? Fear not, for I am with you; be not dismayed, for I am your God; I will strengthen you, I will help you, I will uphold you with my righteous right hand. Isaiah 41:10 !!! He clearly states to us that He is giving us the tools to overcome fear, because fear is never of God. He will give us strength. He will help us and uphold of. Just let go of the fear. God was also gracious enough to address the flip side of fear: BOLDNESS! The Lord says, DO NOT FEAR MAN, Follow me. What can man do to you? Really? One adult causing fear in another...one of them has a problem and it ain't YOU! Psalm 118:6 says "The LORD is on my side; I will not fear. What can man do to me?" If fear is reigning in your life take some time to really assess what is going on. Step back, take a deep breath, go for a walk to find a moment of clarity. In that moment, ask the Lord what to do and He will tell you THE NEXT RIGHT THING to do! Do it. There's your jumping off point. Your tiny beginner foundation. Build on it with God as your carpenter and watch the fear dissolve. And most importantly to remember...it's okay to ask for help. It's okay to lean on a friend or counselor to help you clear the way for that foundation. Just do the next right thing, you will be amazed at the results. Have a great day friends, I am so grateful for you!